Santa Rosa, CA—Last night the campaign to repeal Santa Rosa rent control, which was passed by Santa Rosa City Council in 2016, defeated the grassroots ballot initiative “Measure C” to defend rent control. In the same night, the Alameda City Council approved the addition of a just cause for eviction policy, a major win for tenants. Now landlords in Alameda have to cite a fair reason to evict tenants. The win in Alameda highlights the resilience of tenant activists and will inspire other cities in the midst of rent control campaigns. “Alameda faced a similar defeat at the ballot last November. 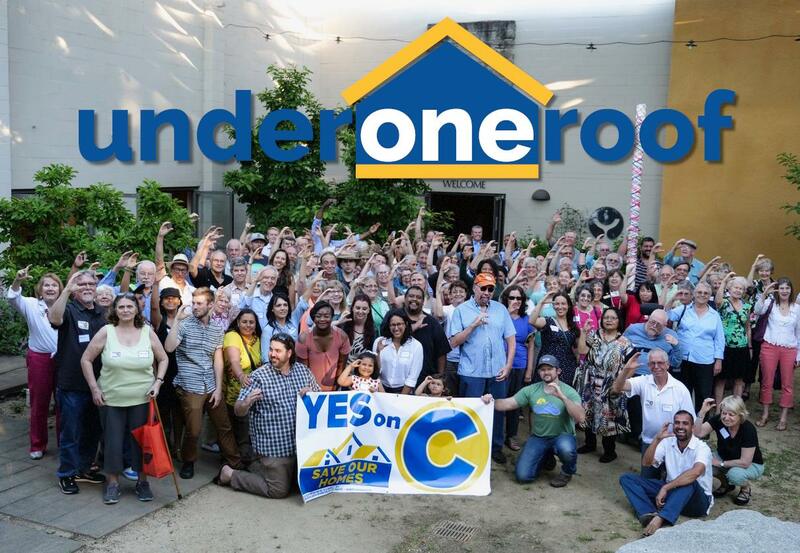 We decided to continue to organize to make sure the voice of renters in Alameda was heard. The Alameda Renters Coalition insisted the city plug the loophole that allowed mass evictions like those of the Filipino families at 470 Central to occur, evictions that sparked the fight for rent control. We are proud to report that the Alameda City Council took action last night to defend tenants, and passed just cause for eviction,” says Mari Perez-Ruiz, President of the Alameda Renters Coalition. “In Santa Rosa, the margin was narrow, 52.5% - 47.5% and the campaign against rent control outspent the Measure C campaign 5-1, breaking records at nearly a million dollars. Santa Rosa tenants and allies, led by the North Bay Organizing Project and Measure C Campaign Manager Annie Dobbs-Kramer, have built a strong campaign from the ground up. Tenants will win if they go to the ballot again in a higher turnout election,” said Dean Preston, Executive Director of Tenants Together, California’s statewide organization for renters’ rights. “Real people who live here in Santa Rosa waved signs, walked and talked and made phone calls and entered data and coordinated. Hundreds. Together. We CAN move forward together. We know now that we can unite around a common good. We will prevail next time. Because now we are ready. Now we know how strong we can be,” says Julie Combs, Santa Rosa City Councilmember. The fight for rent control continues all over the state, with implementation of new laws in Richmond and Mountain View, Pacifica voting on a rent control measure this November, and active campaigns in Union City, Fremont, Glendale, Pasadena, and Long Beach gaining momentum. Local advocates have also mounted a campaign to repeal Costa Hawkins, which limits local rent control laws, through the new Housing Now! coalition, which brings together tenant, labor, faith, environmental, and community organizations in the fight for housing justice.